At WorldFairways.com, we work hard to earn your business and keep it. We work very closely with every one of our clients to ensure the highest level of statisfaction. If there is anything that you wish to discuss, please do not hestitate to contact us. 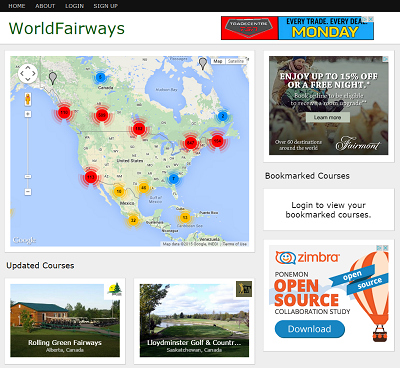 In addition to augmenting your facility profile page, we offer you the opportunity to advertise through WorldFairways.com.